1. Our Local Advantage - Real Estate is Local... and today it's hyper local. With that said... we truly take advantage of a broad spectrum of technologies and tools to support the sale of your home from start to close. 2. Internet Advertising - According to the most recent statistics, 92% of all home buyers starts their search on the internet. Top placement on search engines is essential. You'll gain access to placement on Google, Bing, and other websites. This will maximize your exposure and bring a large number of potential buyers to view information about your home. 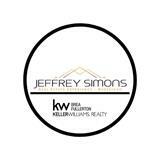 We at Jeffrey Simons & Associates, truly understand that the internet is the way to get the maximum exposure for your property. In fact, we are on over 1000 different search engines, while the next closest competitor is stating that they advertise on over 335! If you know that 92% of all buyers search online, why would you choose to list with a company that would knowingly remain invisible on over 500 more search engines? 3. Email Campaigns - It's important to "work the network." We have a very active database, and share all of our inventory with the people we know, like and care about, and they in turn share it with their family, friends and co-workers. It's an amazing process to watch. Beyond these great reasons to list with us, it's important that you know that we are an international company. We are the largest Real Estate Company with offices in 12 different countries! There is no broader real estate net available to you! Are you ready to get started?